If you didn't pass your USMLE Step 1 and now can't complete your clinical rotations until you do so or will be kicked out of medical school. It certainly is a sinking and gut wrenching experience to find out you did not pass your USMLE Step 1 on the first pass but all is not lost. There is hope and you certainly do have a future in medicine. The first order of business is to mentally get yourself adjusted to the reality of not having a passing Board score. For many medical students this type of failure is demoralizing and almost puts them into a state of shock and depression. You've been hopefully studying nonstop for weeks if not months for this very important exam. 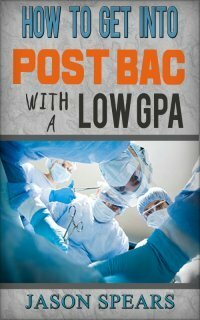 You realize your board score determines what specialty you'll be able to apply for after medical school. When you don't pass one thought aside from being a failure is that you need to begin thinking about alternative career decisions. Most likely you'll contemplate life teaching, doing basic science or research but not practicing medicine. Don't go down this path. The only time you should even remotely begin to think about alternative career options is when your medical school Dean or Student Promotions Committee informs you that you will not be able to graduate form their institution. There will certainly be hurdles and hoops to get through before such a final verdict is rendered. In the mean time your mental energy needs to be focused on righting the ship and changing your Board score. Medicine is one obstacle after another and you should be happy of what you've already accomplished. Consider the fact that not everyone who starts college as premed completes their intro science courses instead they have been weeded out. You on the other hand made it through those courses. The consider you got far enough in your career to take the MCAT. Some students take the MCAT and can't get a competitive score so their chances of becoming a doctor come to an end. But you made it and got into medical school. Others will get into medical school and anatomy along with other courses may be too much for them to handle and the school tells them they are not longer invited to come back the following year. You were one of the ones who made it to your second year so take courage in this accomplishment. Then second year comes around and classes such as pathology and pharmacology become too much for certain medical students. What happens is they are kicked out of school because of not meeting the academic standards. You on the other hand made it to the end of your second year. FInally, having the opportunity to even begin studying for USMLE Step 1. You have to take a moment and put everything into perspective. 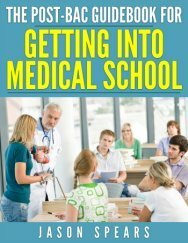 I just outlined a number of scenarios where students fall to the wayside and lose out on their chance to become a doctor. You on the other hand overcame all these obstacles to even have a seat at the table and take the Boards in the first place. I would applaud you for this in itself. What does all of these accomplishments tell you? It means, you certainly have what it takes to be a doctor or you wouldn't be where you are today. Just because there is a setback and failure does not mean all is lost. I would think you're very bright and capable actually. What needs to happen is that your approach to the USMLE Step 1 needs to be reworked. Don't have a pity party and give up on yourself and a future in medicine. Believe that you have what it takes and don't let a failure on the Boards be the defining moment of your life. You hear about college athletes who have some setback and for the rest of their lives they talk about, "Well if it wasn't for this and this I'd be in the pros and be counted as one of the best to play." You can't have that mentality because who wants to be twenty and thirty years down the road thinking about what could have been. Now is the time to face and accept your reality. This does not mean you have to accept your fate. You fully have the power to change your situation for the better. I am a big proponent of the medical work of Dr. Benjamin Carson. He actually has a story that I want to share briefly. year he was sent to meet with his advisor because he had bombed all of his comprehensive exams. The advisor looked at Ben and said, "Mr. Carson, you seem like a very intelligent young man, but medicine does not seem to be for you. Why not save yourself and everyone else headache and pursue a different career." Young Ben was shocked by this statement because he could only imagine himself as a physician and nothing else. The advisor seeing the look on Ben's face decided that okay maybe a workaround would be for Ben to take a reduced courseload and only take half of the courses which would mean it would take him longer to graduate but he would still become a doctor. Ben didn't like this option either. Instead, after the meeting was over he prayed about things and found a voice from God. He decided he wouldn't follow any of the suggestions offered. Instead, he would re-evaluate how he approached his academic work and fix the broken pieces. He shortly realized that sitting in lecture for 8-hours every day was not his ideal way of learning. For Ben, he needed to read as his optimal way of taking in information. With this new insight, he took a major risk. He actually, decided to stop coming to all of his classes and instead would spend all his time from 6am to 11pm studying by reading the books, making flashcards and having a solid understanding of the material. With his new approach in place Ben promptly zoomed to the top of his medical school class. He also reiterates he didn't ignore lectures entirely but received class notes from the scribes so he wouldn't miss any critical information. I share this story for a reason. Ben Carson was at the bottom and being encouraged to leave medicine. He actually bucked the trend and instead of becoming angry, upset or depressed dug within himself to find a way to turn his bleak situation around. You as someone who has failed USMLE Step 1 must do the same. You would not have taken the exam in the first place if you weren't smart enough to pass it and be a successful doctor. I believe what has gone awry is your approach to the boards. In most cases board prep comes down to doing as many USMLE problems as possible. This isn't necessarily beneficial to you. Instead of doing as many problems it is better to do less but know them cold. Here's what I would suggest doing and this same idea works in virtually every academic endeavor. Take the time to do problems as you learn the material the first time. Don't wait until just before the exam to start doing problems. Problems are a form of feedback to ensure you're on the right track. You're thinking, I already bombed my boards this is too late for me. Well, this other part is just for you. When doing problems the key is to spend just as much time reviewing the answers or probably more time reviewing the answers. What you want to do is have a complete understanding for why one answer is correct and why another is wrong. If you can do this your level of competence with the material will skyrocket. How you'll do this is study the question and be able to determine why the answer choice is the correct answer. Then go back to all the incorrect answer choices and think about how would you have to reword the question to make each of the incorrect answer choices correct. When you start thinking like this you're on the road to academic recovery and it shows you have a strong foundation with the material. Secondly, can you teach someone what you are trying to learn. Really, ask yourself if you were asked to give a 3 minute lecture on the particular topic to a group of high school students would you be able to do so? If the answer is no or you'd bumble through the presentation you have to put in more time learning the material because you don't know it well enough. Plus, a test-maker isn't going to ask you about the obvious they are going to want you to take the information and apply it. What probably holds you back on the USMLE is how you've been taught to perform and think. In medical school you take multiple-choice exams and are graded based on your ability to memorize and recall the most arcane facts about a topic. Your professors expect you to know the basics so to test you they will want to know that you actually dug into the material and know the very fine details.